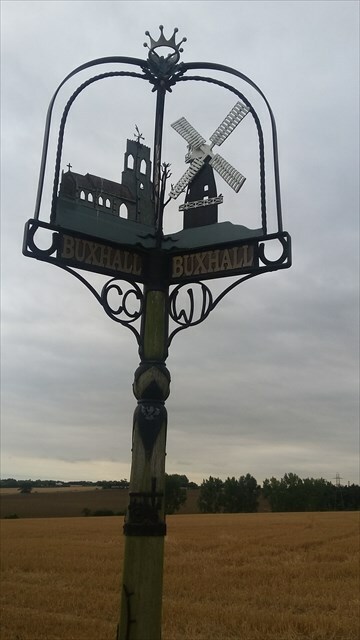 Another village sign which deserved a cache. Parking for this cache can be found at the waypoint given. Buxhall is a small, rural village in Suffolk, about three miles south of the historic market town of Stowmarket. The village sign itself stands lonely at the corner of a field, with no real obvious sign of the village. The parish church stands close by, with the village behind this, mainly on two roads.